The white Lumens VC-B10U ePTZ Camera is an HD camera well suited for small meeting rooms as well as classrooms and distance learning. It connects to your computer via USB 3.0 (USB 2.0 compatible) and supports UVC and UAC video, which makes it a simple plug-and-play video conference solution. A 120° viewing angle makes it well suited for use in small rooms. If you need to zoom in on an image, the camera offers 2x lossless zoom functionality in 1080p, with an additional 8x digital zoom. The two built-in microphones provide good pickup of the audio in a room, while alleviating the need to set up external mics. The camera can support up to 64 position presets, and it can be controlled by IR remote or over USB. An included mounting shelf supports the camera so it does not have to sit on top of a table. The VC-B10U uses standard UVC drivers, which means there is no need to install drivers on your system to use the camera. The 12 megapixel image sensor features low noise, high resolution, and vivid color reproduction, and it is well-suited for low light conditions. The VC-B10U has a panoramic 120° viewing angle suitable for rooms large and small. 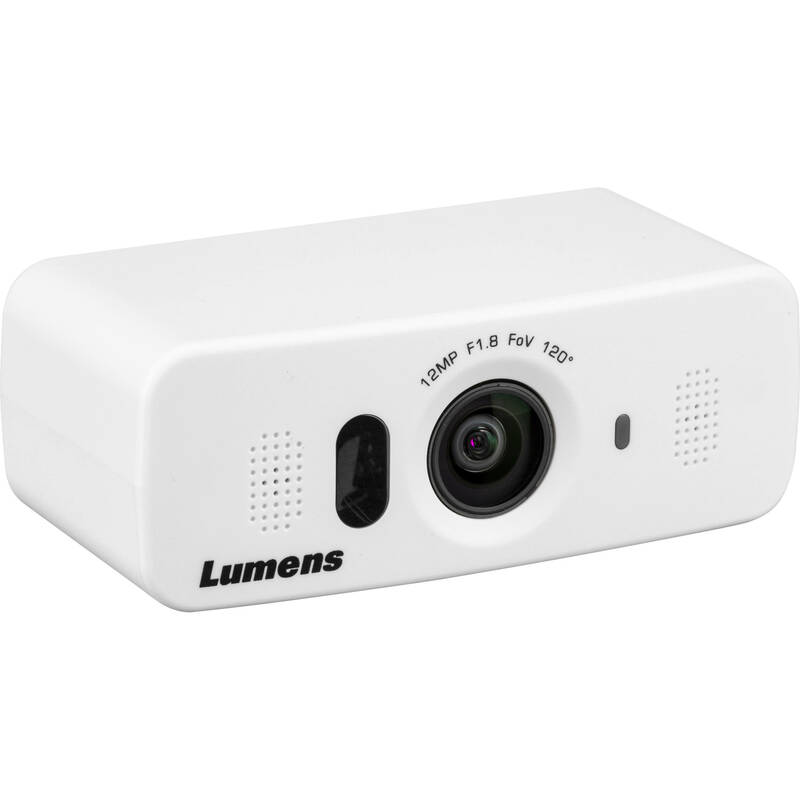 Pan, Tilt, Zoom, and other settings can be controlled via IR remote controller and Lumens USB PTZ camera controller software. The software supports Windows, macOS, and Android. You can set up to 6 position presets via the included IR remote, or up to 64 presets for pan, tilt, zoom, focus, and white balance modes when using the Lumens USB PTZ camera controller software. Two built-in microphones make the camera suitable for distance learning and videoconferencing. Speech enhancement can be utilized with Microphone Beamforming and noise suppression technology. The VC-B10U has a built-in TV mount that can securely install on a TV or on screen. Box Dimensions (LxWxH) 7.9 x 5.8 x 3.4"